Daniel Whelan | COVER REVEAL: The Box of Demons in paperback everywhere for 2016! 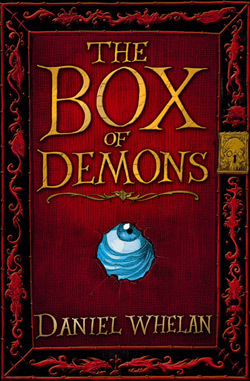 01 Dec COVER REVEAL: The Box of Demons in paperback everywhere for 2016! 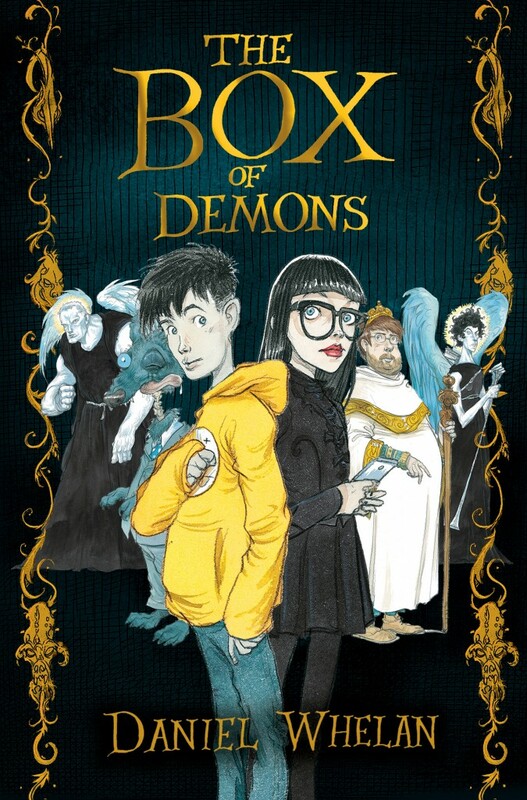 We’re getting low on copies of the Special Limited Edition hardback of The Box of Demons – as commended by the British Book Design and Production Awards – with many independent bookshops selling out completely. If you’re still struggling to get a copy – only 2000 were printed – then all is not lost, because I’m thrilled to be able to announce that the book will be coming out in paperback and as an ebook on January 28th 2016! For this new release, the book has gained a brand new cover, again drawn by the Children’s Laureate, Chris Riddell. This one features Ben and Lucy front and centre, and makes Tegwyn, The Archivist, Squat, and The Triumph cover stars too. I’m told the demons feature on the back cover, but I haven’t seen that yet. Here it is in all its glory. I love Ben’s new yellow hoodie! It’s available for pre-order now. Follow the links to buy from Hive, Foyles, Waterstones, Apple’s iBooks, Amazon, and WH Smith. But remember: it will still be available from your local independent bookshop, so do go and visit them if you can.